Bechari, born in Morocco, is a leader and prolific and dynamic public figure in the landscape of European Islam. 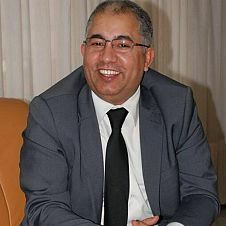 He is the president of the French National Federation of Muslims, one of the leading entities organizing Islam in France. He is also the secretary general of the Islamic European Conference, a Europe-wide umbrella organisation that seeks to be a single organisation representing European Muslims at a European level. Bechari is the founder of the Avicenna Institute in Lille and is the Vice President of the French Council of the Muslim Faith.